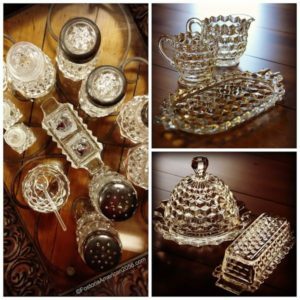 The “Dinnerware Accessories” page includes a variety of items that are typically used as accessory pieces during a formal or informal dinner. For example, you can now find Butter Dishes, Cream & Sugar 3-Piece Sets, and more listed in this one section. More categories will be added as research and photography is completed. Pictures are happily posted to assist in identification; however, all images are copyrighted and any unauthorized use and/or duplication of this material without express and written permission from this blog’s author and/or owner is strictly prohibited.